The competition was very spirited for there were so many potential turkeys to consider in 2017. Some of our worthy nominees included Hillary Clinton, U.S. Senator John McCain (R-AZ), ungrateful UCLA father LaVar Ball among many others. Previous winners have included former President Barack Obama, documentary filmmaker Michael Moore, former House Speakers Nancy Pelosi and John Boehner, Senate Majority Leader Mitch McConnell, former Florida Governor Jeb! Bush, Ohio Governor John Kasich, U.S. Senator Lindsay Graham of South Carolina, former Louisiana Governor Bobby Jindal, former New Orleans Mayor and current federal inmate Ray Nagin and former U.S. Congressman and recently released federal inmate William “Dollar Bill” Jefferson. This year, despite numerous worthy nominations, the Ringside Politics listeners selected, by an overwhelming margin, New Orleans Mayor Mitch Landrieu. Ironically, Landrieu is currently being celebrated by national Democrats for “courageously” removing four of the city’s Confederate monuments; however, in reality, he created racial divisions and reopened old wounds that had long ago been healed. Mayor Landrieu started the unfortunate national trend to remove monuments dedicated to Confederate heroes, Founding Fathers, Christopher Columbus or anyone that the country’s self-appointed social justice police believe is not sufficiently politically correct. If a monument honors a white male, chances are that it has been deemed “racist” and needs to be removed. While he was crusading against the Confederate monuments in New Orleans, the Mayor vowed to find appropriate places of honor to relocate them. Of course, all of those promises were lies for, today, the priceless Confederate monuments are being stored in a dingy city warehouse. He also vowed to repurpose the former monument locations; however, the old sites remain eyesores today. Landrieu literally destroyed beautiful city attractions in his quest for national glory and praise from the liberal media and Democratic Party leaders. It is no surprise to learn that the Mayor may run for President in 2020 and will be releasing a book in March to describe how he dealt with the monument issue. The book, “In the Shadow of Statues: A White Southerner Confronts History,” will be released in March and will be a shameless attempt to garner national headlines while he prepares for a presidential campaign. Mayor Landrieu, another posturing, fake moderate Democrat is hoping to obtain the nomination to run against President Trump. His big achievement is creating more disharmony between white and black Americans. If he was honest, he would admit that the controversy was a two-year distraction from more pressing issues, such as the violent crime rate. New Orleans is a top destination for murderers, ranking as one of the most violent cities, per capita, in the nation. Landrieu decimated the police force when he became Mayor and the New Orleans Police Department never recovered. His management of the Sewerage and Water Board was abysmal and his pick for Executive Director was exposed as a political hack who had no business running such an important agency. Incredibly, experienced engineers, hydrologists and water system experts were overlooked so Cedric Grant, a Landrieu crony, could be selected for the Sewerage and Water Board position. When a minor rainstorm flooded New Orleans on August 5, 2017, the Mayor stayed in Aspen, Colorado to attend parties and seminars and refused to immediately return to his rain soaked city. For two days, while his citizens were dealing with a myriad of problems created by his incompetent mismanagement, Landrieu partied with colleagues at the Aspen Institute. While he was away hobnobbing with the political elite, Landrieu allowed his staff to lie to the local media and residents about what really happened. They lied about the cause of the disaster and even tried blaming global warming. Eventually, Landrieu returned to New Orleans and did what most politicians do, reprimanded his underlings, fired subordinates and denied personal responsibility. He tried to convey the image of a leader in charge, but that fantasy had long ago been exposed as total fiction. It was discovered that major funds were either lost or stolen, drainage pumps did not work, equipment was inoperable or antiquated and catch basins were not cleaned on a regular basis. Landrieu did not come close to fulfilling the most basic requirements of a Mayor. He did not provide a safe environment for citizens and tourists alike. Over the next six months, it will be difficult for the residents of New Orleans to tolerate Mitch Landrieu presiding over tricentennial festivities in the city. A historic celebration will be led by a Mayor who declared war on history to advance his selfish political aspirations. New Orleans has survived plenty of disasters in its 300-year history and it will survive Mitch Landrieu. Unfortunately, he has done tremendous damage to one of the most unique and colorful cities in the world. Hopefully, he will not win the Democratic nomination, much less the presidency, for the consequences for our nation would be catastrophic. If he does for the nation, what he did for New Orleans, God help us all. Since January of 1999, Crouere has been a radio talk show host based in New Orleans, LA. His programs are dedicated to examining the top issues of the day on the local, state and national levels. Crouere offers listeners political debate, analysis, and interviews with interesting political leaders and commentators. Currently, Crouere is host of a morning program, Ringside Politics, which airs weekdays from 7-11 a.m. CST on WGSO 990 AM and can be heard on several affiliate stations and on the Internet at WGSO.com..
Crouere is also host of Ringside Politics, a television version of the radio program, which airs on WLAE-TV, a PBS affiliate in New Orleans. New Orleans area television viewers can also watch Crouere on ABC-26 TV, where he has served since 2002 as the political analyst and provides his insight on local, state and national politics. 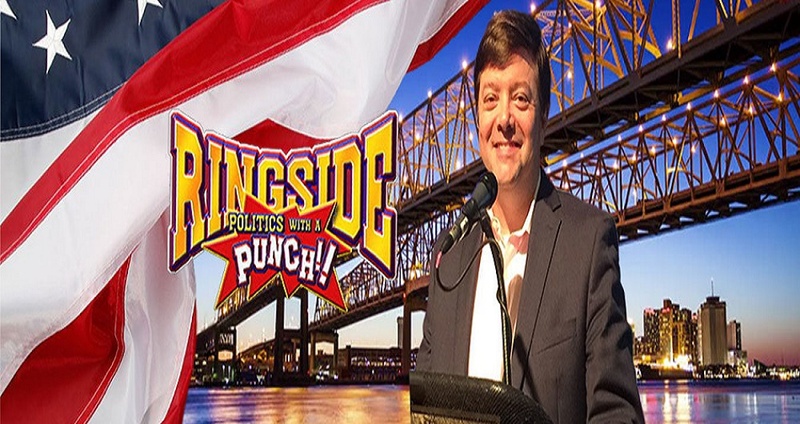 The website for the radio and television program RingsidePolitics.com provides a web poll, political rumors, a schedule of guests, and links to a variety of Crouere’s columns. He writes daily, weekly, and monthly political analysis columns and editorials for a select number of print and on-line publications, including BayouBuzz.com, the Northshore Conifer, Kenner Star, New Orleans City Business, and the Slidell Monthly. He provides regular columns and serves as the Political Editor for NewOrleans.com. He also is the editor of a weekly e-mail newsletter, which has a circulation of 5,000 readers. Once a month, Crouere hosts a local version of “Politically Incorrect” at the Eiffel Society in New Orleans called Politics with a Punch which includes a panel of comedians, politicians, media personalities, and news makers. 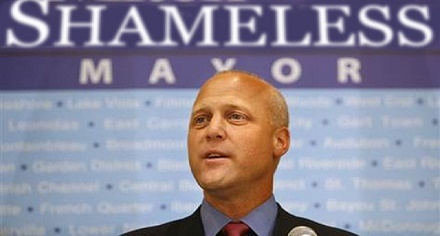 Excellent choice in selecting Mayor Landrieu. He cones from a long line of Louisiana politicians, all of them as corrupt as his sister who was once a Senator from that state. She was the very last vote needed to pass ObamaCare into law, corrupt girl that she was, she held out for top dollar until she got it. A the time she was called the most expensive ho in America. This family goes waaay back in politics.